A range of Dome Loaded pressure regulators / pressure controllers / pressure reducers offfering accurate pressure control over a wide range of pressures and flows, including the options of proportional control and adiabatically shock tested regulators Medical Oxygen service. 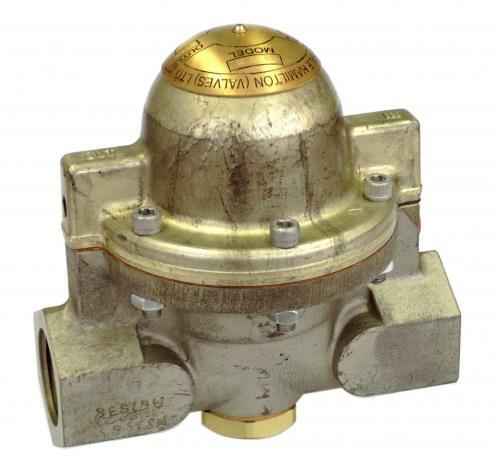 Series RH 20, 25, 35 & 40 are a range of Balanced Dome Loaded Pressure Regulators available in; Aluminium, Nickel Aluminium Bronze, Brass & Stainless Steel with outlet pressures ranging from 2.7 to 241 bar and CV values of 1.8 & 5. Series RL 1 to 6 are a range of low pressure, high flow Dome Loaded Pressure Regulators available in; Aluminium, Nickel Aluminium Bronze & Stainless Steel with outlet pressures ranging from 0.07 to 65 bar and CV values ranging from 1.1 to 32. If you can't find what you're looking for please contact sales on the above button.